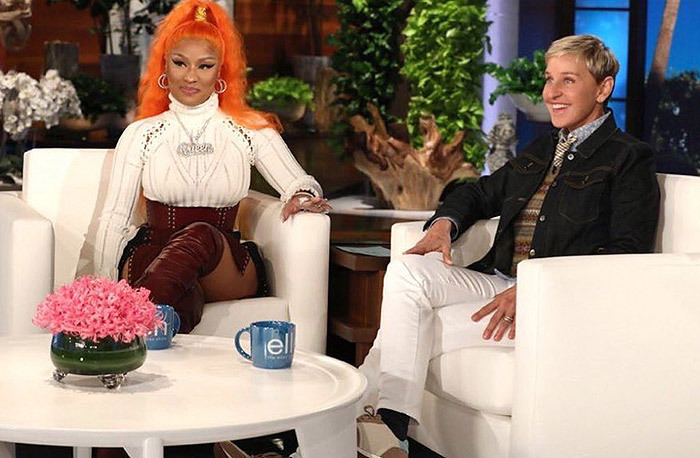 Nicki Minaj dishes on a new man, says her relationship with Meek Mill was toxic and she's happier living the single life - Ooooooo La La! The leader of the Barbz Nicki Minaj visited Ellen recently and talked about a new boy in her life, said her past relationship with Meek Mill was toxic, and she said she's single for the first time since she was 15 and she's okay with that. "I used to feel like I have to have a man," Nicki confessed. "And I want every woman here to know, you absolutely don’t."